Spring '17 brought "API Names" to picklist values so that integrations can use a "hidden" value (the API name) while users can see a local or more friendly value (the label). However, there isn't a way to access the label in formulas. So, if you want a formula to display the picklist's value somewhere else in Salesforce, only the API name will appear. This will be confusing to users if you actually have different values for API name and label, as they may not be familiar with the API name. We need a way to access the value's label in formulas. SOQL has a toLabel() function, and we need its equivalent in formulas as well. We want this function badly. So Field History Tracking used to display the API Name, but has been fixed to show the Label. Can you do the same for formula fields? We can't have inconsistencies in the UI, so we now have to keep picklist value Labels and API Names in sync manually, and continue to change our integrations as required (which completely undermines the objective of this feature). I have the very same issue that @Ed Scott reports. I have diferent states and hundreds of cities with its colombian internal code map, the api name is the code, the label is the city and state name. I need to call the label in a function and it doesn't work with text. Why ever since the introduction of API Names, there wasn't from day one an option to get the label goes beyond my mind. This would be great. TEXT(My_Picklist__c.Label) ? or LABEL(My_Picklist__c) ? something is definately needed! Thought of a simple, if ridiculous, approach that can work around this limitation. With this approach, you can do a simple find / substitute function to pull out The Label You Want To See In The World wherever its needed. And in your integration, you can similarly extract the external ID with some very easy find + left logic, and discard the label portion. 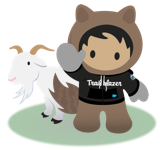 That said, gIven that the point of this feature is specifically to ‘keep picklist integrations safe’ by decoupling changes to labels from the API values, none of this tomfoolery should be necessary and Salesforce needs to deliver a formula to get the label. dont build a feature if you dont plan to make it work in real life. and real life uses formula fields and visual workflow. just quit talking about clicks not code until you plan to address gaps like this. this really is not an idea, its a bug. a stinkbug, with horns, green eyes, and posionous secretions. How does displaying api name in a formula field make sense? I understand the advantages for formula fields referencing the picklist api value, as that will allow the label to change without breaking internal functionality, but we absolutely need the ability to display the label, for scenarios where picklists are used in formula fields. That should not come at the price of using the picklist elsewhere.